He work involved a lot of running around. Until a rare spinal chord disease took away most of his ability to run. Over the last five years, he’s gone through a series of operations. Even now, he’s only barely able to walk. But Joyce still wanted to make movies. The same drive that made him successful in Hollywood forced him to look for creative alternatives. He became a beta tester of a product called Moviestorm, which allows users to make computer animated films. He was the perfect subject, he said. His last experience with computer gaming was playing Pong in a bar somewhere, Joyce said. If he could use the software program, anybody could. Moviestorm led to iClone, and that led to the international machinima community, which uses video games and video-game-style platforms to make animated films. “It allowed us to work on ideas and change sets,” he said. A couple of films later, the costs were starting to rise. Sets, costumes – sure, Joyce wasn’t hurting for money, but still, he’s the kind of guy who keeps an eye on the bottom line. A year ago, Joyce and his movie making partner, Kate Fosk, began looking at OpenSim as a possible backlot for their projects. Three months ago, he decided to take another look at OpenSim. He was inspired by bricks. Joyce’s current project is set in the Old West. And he wanted the Old Prospector’s cabin to be built out of adobe bricks. Sure, you could make a solid wall and just paint it to look like adobe bricks. That’s how building in Second Life normally works, based on geometric solids, or primitives. But it looks much more realistic if the wall is actually built out of individual bricks. The cost? Several hundred dollars a month, and they weren’t even shooting yet. Sure, this wasn’t the multi-million budget he was used to. There was no team of one hundred teamsters. Still, old habits of financial discipline are hard to break. He looked at OpenSim and realized that there would be a lot more room to build, at a significantly lower cost. All his machinima friends were talking about it, he said. If only they could figure out how to actually do it. Joyce decided to tackle the project himself. He worked through the online tutorials, and decided to go to Easyspace for the hosting, where virtual servers start at just $15 per month. “If you know what you are doing, their prices are very reasonable,” he said. But the tutorials, he discovered, started out with the assumption that the reader already knew something about this technology. Which Joyce did not. So this attempt was a wash as well. Then Joyce’s partner in Pineapple Pictures, Kate Fosk, came across a hosting service that did all the set up for you, PioneerX Estates. The monthly fees were a little higher than the bare-bones system, but still lower than in Second Life, with more flexibility. Joyce signed up for a small area of land – one region, or about 16 square acres – for about $55 a month. For this price, he got the “standard package” – four regions, on which he could put up to 20,000 primitive objects (such as his bricks). He decided to pile all his 20,000 primitives on just one region, to be able to build more complex structures, instead of spreading them across four regions. A custom terrain built on the OpenSim platform. PioneerX handles all the technical aspects of running the OpenSim software, including all the maintenance and updates. Today, Joyce still has an office in Second Life, for meetings, and to show films. But the large builds are now on OpenSim. “I used Second Inventory to go and shift stuff from Second Life that we had built,” he said. 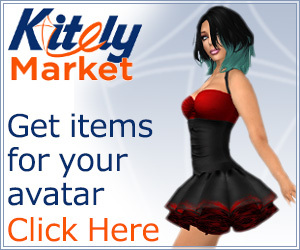 Second Life doesn’t currently allow users to teleport their avatars – their virtual characters – to OpenSim. Third-party software like Second Inventory allows users to transfer content that they have permission for, however, or that they have built themselves. One key to the process, Joyce said, was that his avatar in Second Life (“Peachy Ballyhoo”) looks exactly the same as his avatar in OpenSim. He uses a script that activates a command in his browser – realXtend – that takes him straight into Second Life, to the location he needs to go. Since his avatar is dressed the same in both places, it feels almost like a real teleportation, he said. “It makes it real easy to go back and forth,” he said. Joyce is based in Laguna Beach, Calif. PioneerX is the U.K, as is Joyce’s partner, Kate Fosk. The servers themselves are actually in Atlanta. So how does PioneerX create such a great user experience? By focusing exclusively on individual customers and small businesses, Pioneerx Estates director Simon Gutteridge tells Hypergrid Business. The OpenSim hosting is just eight months old, he said. His core business is providing virtual servers, and the OpenSim work is a recent expantion for the company, he said. Gutteridge said that customers can rent a single 4,000-primitive object region for $15, and a single 8,000-primitive region for $30. By comparison, Second Life’s OpenSpace region allows 750 primitives for the same area of land – 16 square acres (or 65,536 square meters) – for $75 a month plus a $250 setup fee. Second Life’s Homestead region allows 3,750 primitives at $95 a month (going up to $125 a month in July), with a $375 setup fee. A Second Life “Standard” region allows 15,000 primitives, and costs $295 a month, plus at $1000 setup fee. PioneerX customers that need more than 8,000 primitives have two options, Gutteridge said. They can get a basic server package, which can handle 10,000 primitives, at $38 a month, typically distributed across two regions, but which can all be piled into one. And the standard server package, which can handle 20,000 primitives across a typical four regions, at $56 a month. The advanced server package offers 40,000 prims across eight regions, at $99 a month. The regions are all backed up daily, Gutteridge said. In addition, users have point-and-click user interfaces to the OpenSim server, allowing them to easily save backups themselves of their regions as well, upload files to the server, and also to restart regions if they want to. Each week, all the regions go down for one our on Friday afternoon (London time) for their scheduled maintenance and necessary upgrades. OpenSim is evolving quickly – each week brings several new fixes and patches. Gutteridge said he checks the versions against the versions recommended by the OpenSim developers. Since the regions are part of the OSGrid, the largest grid build using the OpenSim platform, he also checks for compatibility with the grid itself. All this maintenance has paid off, he said. In six months, he hasn’t seen a single crashed region. PioneerX Estate also offers free house plots. These are one-acre lots. Offered free of charge, first come first serve, one person customer. Each has a primitive count of 625. “The one stipulation that we make is that you don’t annoy your neighbors and you build something nice,” Gutteridge said. These plots can be used to build residential houses, for practice building areas, or for small virtual offices. The server that runs this region can hold up to ten avatars, he said. That means – if you hold a company meeting, be careful not to schedule it for when your neighbors are throwing parties.